Ellie J stopped dead in her tracks at the weekend when she stumbled across this t-shirt for sale at Primark in Nottingham. 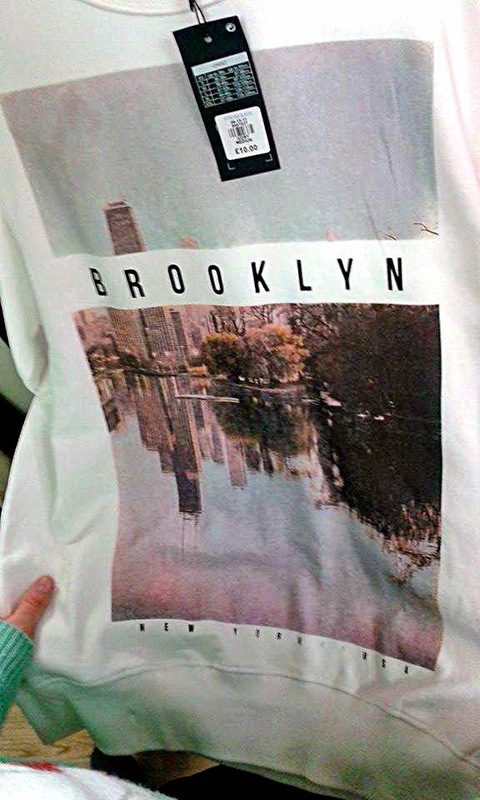 It has the word Brooklyn emblazoned across it, together with New York USA. It also has a photograph taken in er, Lincoln Park, Chicago, nearly 800 miles away. I've read that Primark has plans to open some shops in New York in 2015. It'll be interesting to see exactly where they end up.